In the beginning... How RPC began. In terms of my professional veterinary skills, I fit neatly in that category "Jack of all trades, master of none". That must have been clear to my daughter who once asked me "Daddy, why aren't you a real vet?" But I'm grateful that the quirky meanderings of my career have many times brought me luck. They brought me luck when I crossed tracks with some of the founding members and supporters of the KYEEMA Foundation, people like Robyn Alders and Mary Young. In fact, our paths crossed several times, the first before KYEEMA even existed, but that's another story. In 2010, KYEEMA was undertaking a Newcastle disease control project in Malawi where I was working. They asked me to conduct a review of their first year of work. I willingly agreed and must have done a reasonable job because a year later, when they needed a wider review, not only in Malawi but also in three neighbouring countries, they asked me to participate again. It was a memorable and rewarding task and I very much enjoyed throwing my energy into it. Perhaps it consumed me a bit, because I emerged quite passionate about the importance and potential of Newcastle disease control in village chickens in this part of the world. I'm not sure whether they really know it but Australian development agencies top the international arena in terms of their persevering support for Newcastle disease control in village chickens. They can stand proud of the fact. They were supporting it in South East Asia in the 1980s and later in Mozambique in the 1990s. 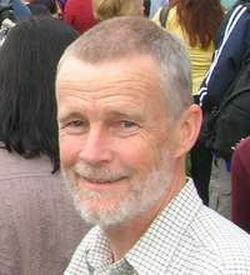 That early work was enabled with technical expertise from the late Prof Peter Spradbrow at the University of Queensland and was financially supported by ACIAR. During the early 2000s, the work in Mozambique expanded to several other countries with financial support from AusAID and continues to the present day. And in the midst of it all, in 2003, very appropriately, the KYEEMA Foundation was born and helped push all this along. So now I am working with some friends to hatch another little egg. You see, the development work program I reviewed, although now finishing, is just one small chapter in a much wider story, one small step in a much longer journey. 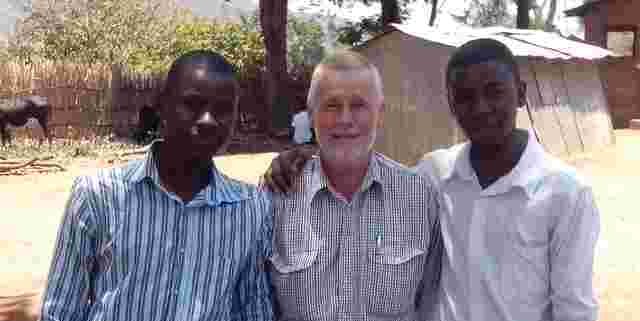 KYEEMA's work in Africa has achieved much. It has established Newcastle disease vaccine manufacturing capability in several countries, it has trained and supported staff, it has implemented successful vaccination campaigns in many areas, and it has demonstrated that this is all worth while. But mission accomplished? Never! There is an ocean of opportunity yet for support to village poultry in this part of the world and I want to do more to fill the gap. 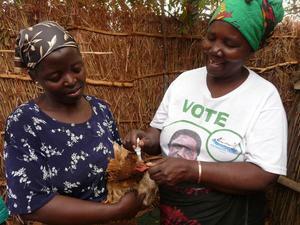 The vast majority of rural poultry in Malawi never get vaccinated against anything. I cannot tell you why - it is a complicated story. But we know from experience that the I-2 vaccine promoted here is well received in those villages which can get it. People who vaccinate once or twice see the benefits and come looking for more vaccine. We also know from experience that when a community does get Newcastle disease under control, they start to notice other problems and look for solutions. And finally we know that village poultry are important for the livelihoods of most rural communities in this part of the world. They are possibly the most important of all the livestock species. Foster widespread government and community commitment to village poultry and particularly to the control of Newcastle disease. Serve as a focus for a network of individuals and institutions who are involved with village poultry in Malawi. Serve as a small but significant local centre of excellence on the village poultry sector. Undertake some basic field research on health, production and marketing of village poultry. Promote measures to improve the health and production of village poultry. Evaluate and optimise the potential of rural poultry genetic resources. Promote training and education at all levels, in smallholder poultry and related subjects. So that is the plan. We are now working towards official registration as an NGO and have already started gathering support. We have started networking with other NGOs and institutions in Malawi where we can see opportunities and common interests. We have put forward a modest proposal for support of a one year project, and we are looking for other opportunities. We are very enthusiastic and optimistic. 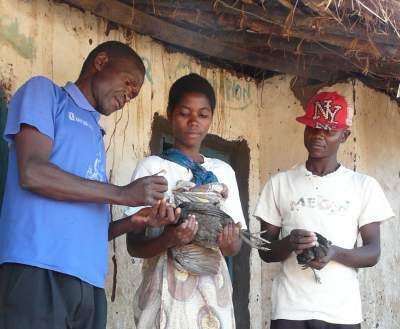 There are 2.6 million rural families in Malawi and over half of them have chickens. You will thus understand that when I told Robyn Alders and Mary Young of these plans, I added "As you can see, I will be well and truly dead before I'm half way through but it should be fun trying."